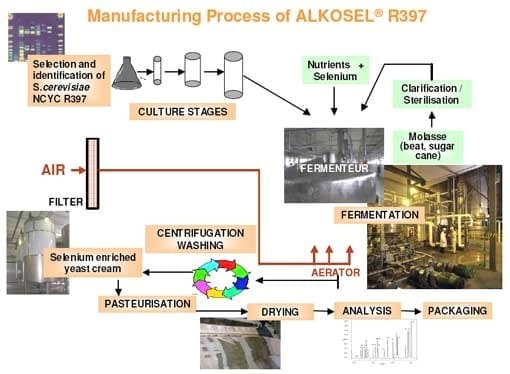 Alkosel®R397 is made from a natural yeast strain, Saccharomyces cerevisiae NCYC R397, selected for its ability to incorporate large amounts of selenium into amino acids (selenomethionine in particular, selenocsyteine). To insure optimal selenium incorporation, S.c. R397 is grown in the presence of measured amounts of inorganic selenium, during a tightly controlled fermentation process. 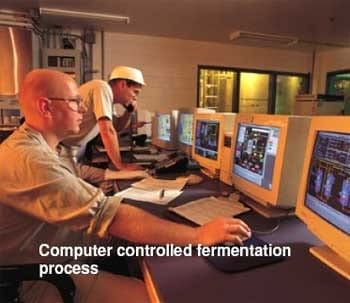 From the selection of the yeast strain R397 to the last quality control analysis, Lallemand, an expert in yeast production for over a century, controls every step of the whole manufacturing process. Following I. Nisamedtinov (Lallemand, Estonia) presentation on selenium yeast production processes, analysis and quality controls, a tour of Grenaa yeast factory, where Alkosel®R397 and probiotic yeast products (Levucell SC, Levucell SB) are produced to the highest quality standards, completed the picture on how Alkosel®R397 is manufactured and the key parameters involved in the process. 3) treatments (to obtain pure inactivated selenium yeast). There are thousands of different yeast strains, each with its own genetic and metabolic characteristics. 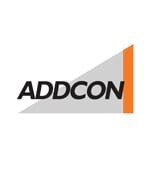 These specificities will impact the property and activity of the end product. In the case of selenium yeast production, selenium bioconversion, selenized aminoacids profile and intracellular distribution will be specific of a particular strain. For this reason, the particular yeast strain Saccharomyces cerevisiae NCYC R397 has been selected from the Lallemand’s Yeast Culture Collection for its ability to produce large amounts of selenomethionine. 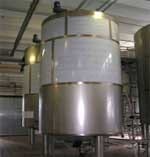 The yeast culture collection is stored in cryopreserver at -80°C in liquid nitrogen. The identity of the mother culture of R397 is confirmed using genetic and biochemical techniques: for example DNA fingerprinting with PCR or restriction fragment length polymorphism (RFLP). Yeast cultures DNA profiles are compared and Lallemand guarantees the purity and traceability of his specific yeast. It is this purity that ensures the quality and the consistency of Alkosel® R397 product. 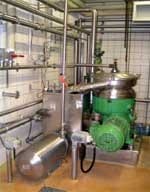 Alkosel® R397 is produced by fed-batch culture: this method offers the best control over the fermentation process. 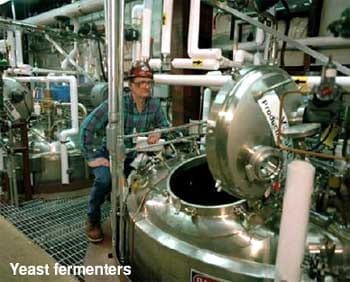 Nutrients are added incrementally into the fermenter, according to the yeast culture density, to optimize yeast growth and selenium conversion. The first step of yeast culture consists of inoculating an extract of the mother culture S.cerevisiae R397 into a small flask (5 mL) of yeast culture medium: the starter culture. Then, the yeast culture is progressively transferred to larger flasks until being finally incubated into the industrial fermenter. All the steps of the cellular growth have to be carefully monitored, and selenium must be added during critical stages for an optimal bioconversion by yeast cells. The industrial culture medium contains all the nutrients for optimal yeast growth: molasses, nitrogen, phosphate, vitamins and minerals (selenium). Their concentrations are continuously monitored, as well as the culture physico-chemical parameters. One of the critical parameters to ensure optimal fermentation is to provide sufficient oxygenation to maintain an aerobic environment in the fermenter. By carefully monitoring the fermentation, Lallemand is able to optimize selenium incorporation within the yeast cells and avoid losses in wastewater. First, centrifugation and washing steps permits to harvest the biomass and eliminate remaining traces of inorganic selenium. This step ensures that more than 98% of the selenium contained in Alkosel® R397 is in its organic form. Then, the organic selenium enriched yeast cream is pasteurized in order to completely inactivate live yeast cells. 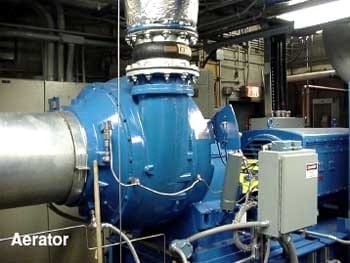 This inactivation step ensures that Alkosel®R397 meets the highest standards of microbial contaminations. The inactivated yeast cream is finally dried to guarantee optimal particle size of Alkosel®R397, that will ensure a perfect homogeneity in mixes. 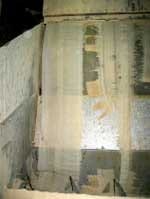 A thin layer of yeast cream is quickly dried over the hot surfaces of a drum. Finally, the dried yeast flakes are grounded in a powder form before final packaging. Selenium quantification: the key to optimal animal benefits. Spectrometry) were the best candidates. 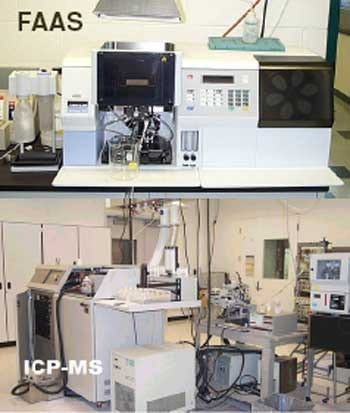 The selenium content of each production batch is standardized using these validated analytical methods. Total selenium content in Alkosel®R397 is guaranteed to range from 2,000 to 2,400 ppm, of which a minimum of 1,200 ppm is from selenomethionine. 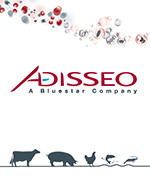 Selenocysteine and other selenoproteins account for the rest (over 98% of the selenium in Alkosel®R397 is organic). A Certificate of Analysis, stating the analytical method used for total selenium and selenomethionine determination, is provided with each batch of Alkosel® R397, a guarantee for the customer of its quality and consistency. Batch-to-batch consistency: when comparing selenium products, it is necessary to compare relevant qualitative criteria measured with accurate analytical methods.